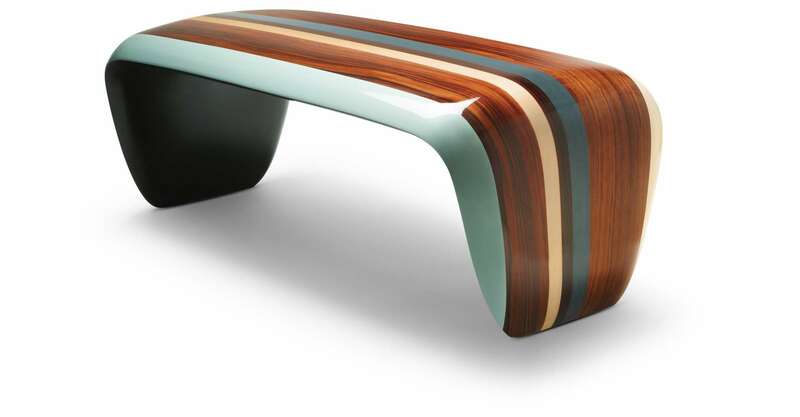 Closely related to Hawaiian surfers’ long boards and their mix of exotic woods, Venice bench is an exceptional piece of handcrafted woodwork. 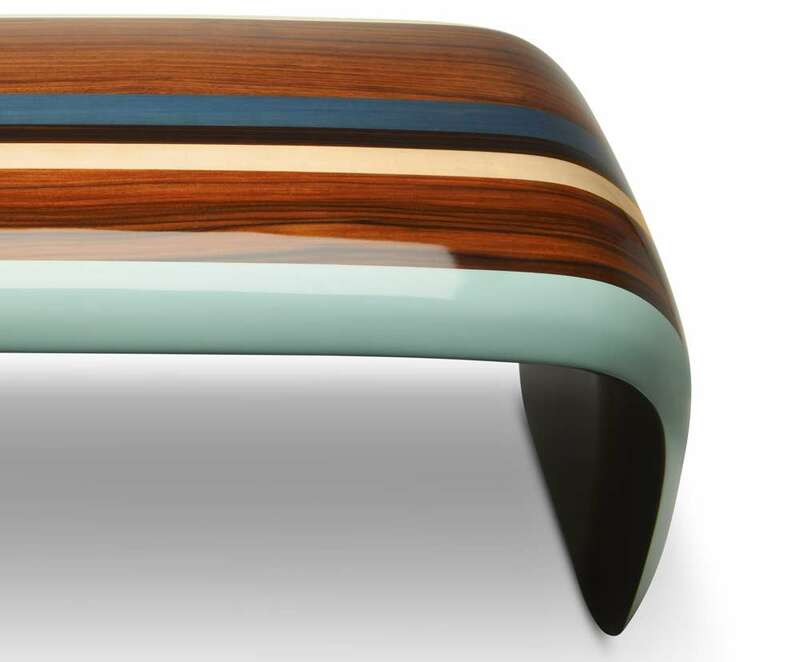 The complex marquetry shapes are inspired by the best surfboard shapers know-how. 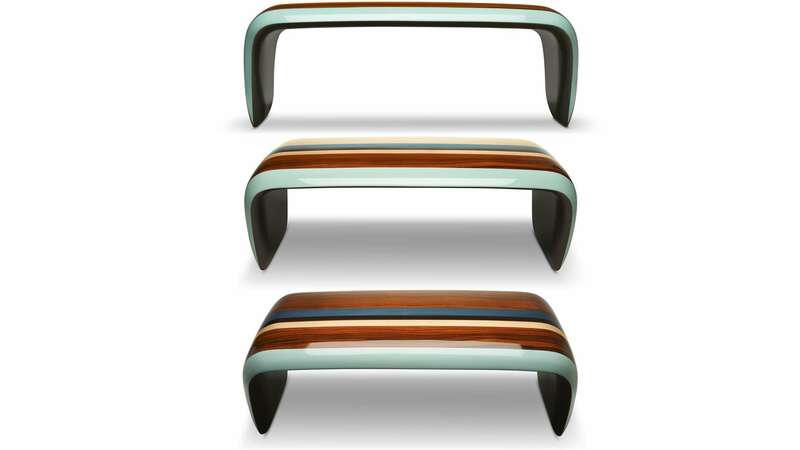 MATERIALS : Sycamore, American walnut, Macassar ebony, Chestnut, Santos rosewood. 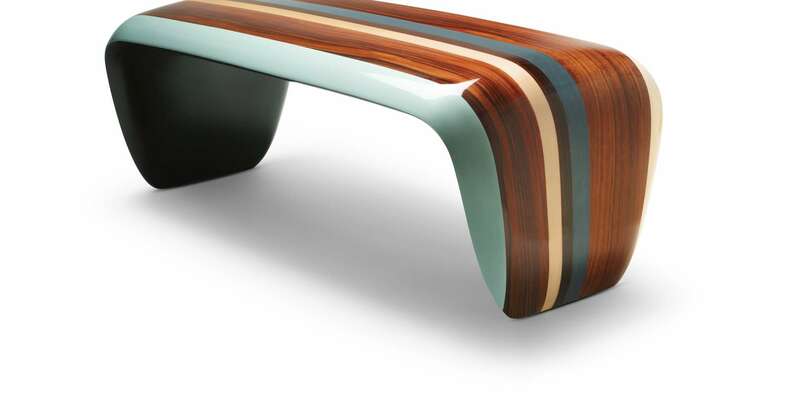 Venice bench expresses the craftmenship and material know-how excellence in a contemporary register. This novative project highlights the arts and crafts makers' capacity to adapt themselves to contemporary creations.